lower right in plate: J. M. Seligmann Sculps. 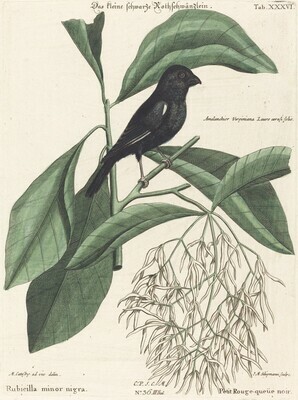 ; lower left in plate: M. Catesby ad viv. delin. ; across bottom in plate: Rubicilla minor nigra. No. 36.III Theil. Petit Rouge-queüe noir.